I’ll start like I start all of my reviews; with a disclaimer, that this Berghaus Polarplus Fleece Jacket was sent to me by Gareth to review. Gareth works for a company that represents Berghaus and he contacted me. He a few things that I could choose but only this fleece in a size medium. He was kind enough to send it to me and I get to keep it. I have no vested interest in Berghaus, the company that Gareth works for or the Fleece itself other than to share my views and opinions; good, bad or otherwise. This arrived pretty late in the year, just as the weather had turned for the better after the long cold winter and round about the time that I was gearing up (no pun intended) to move in to a new house, not that it matters greatly. I came home to a parcel waiting for me. There's something about that, that gets me excited like a child. I opened the parcel and was immediately struck be the weight of the folded up fleece. It was heavy. I had a quick read at the tags. Polertec 300. That's a proper fleece and a lot heavier that anything I've had before and made from recycled yarn according to the bumpf. Most, if not all fleeces I have had and use are Polertec 100. I was struck by how different this 300 material was. For a start it's a double sided fleece fabric. It's in a whole other level. Thick, soft and really luxurious feeling. Really a jacket in it's own right. Next move was to stick on the digital scales. It came in at 768 grams. Heavy but not necessarilly a bad thing. Next thing was to try it on. It looked big for a medium when I took it out the wrapping. Trying it on confirmed this, it's cut on the generous side of medium. This re-enforces the feeling of this standing up on it's own as a jacket and not just a mid-layer. 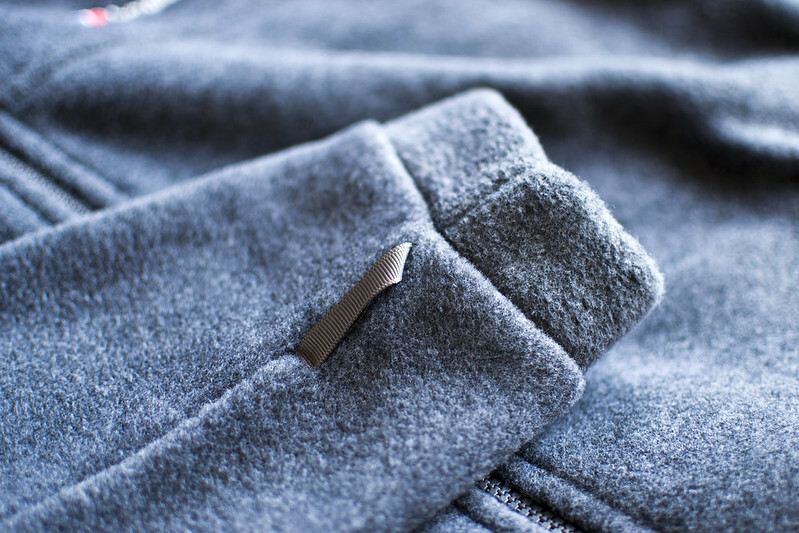 A classic fleece set up. Nice big collar, two large hand warmer pockets and drawstring elasticated hem to keep out the drafts. The collar is quite stiff and stands up which I like, right up under your chin keeping the wind out. The cuffs on the sleeves are not elasticated but theres no problem with them riding up because of the generous cut. The sleeves are on the longish side for me. 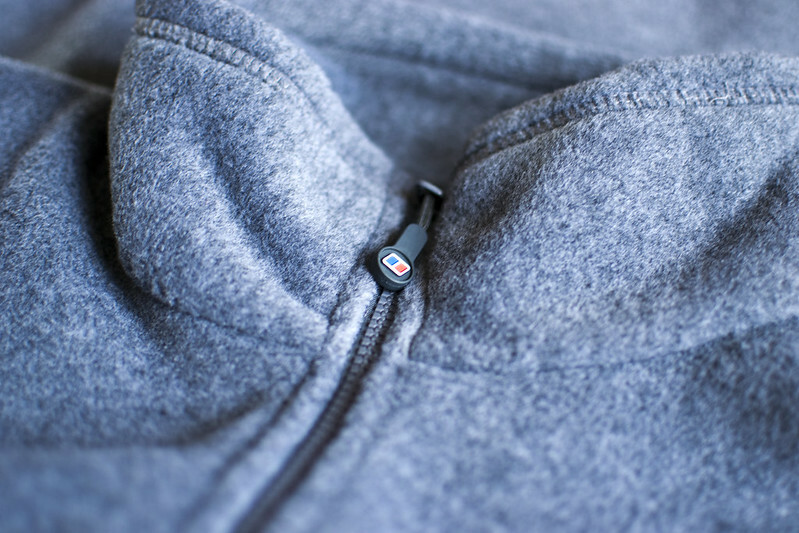 They also have the attachment points for use with Berghaus InterActive system that some of their outer shells use along with the zip. Giving you that classic 3 in 1 layering system. 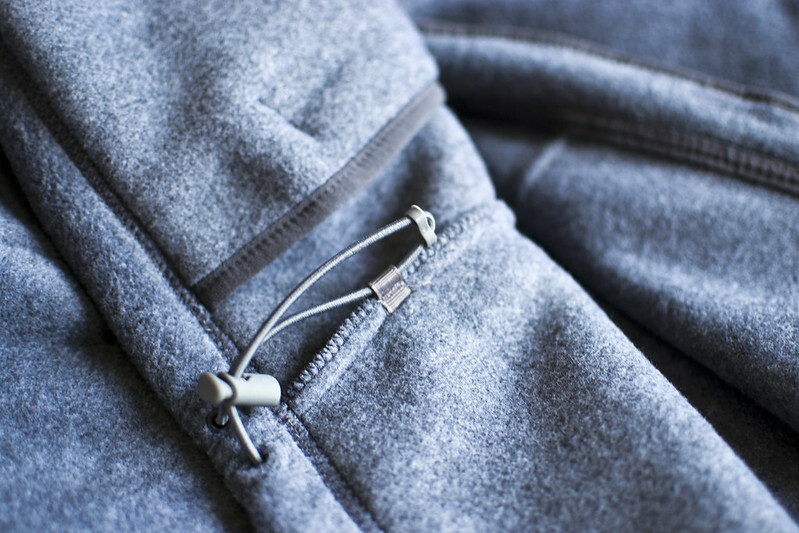 The two pockets have zipped closures and are deep enough for a mobile phone and most compact point and shoot cameras in my opinion. They are also proper thick lined hand warmer pockets, more of that soft luxuirous comfort. 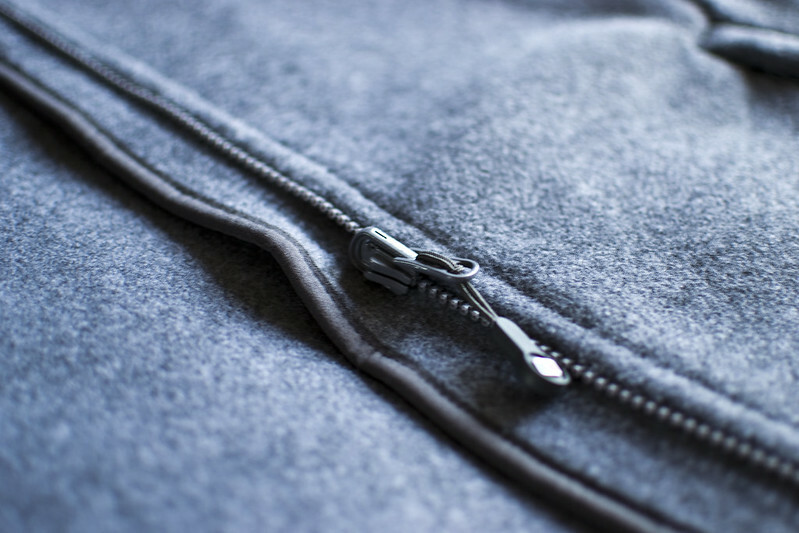 The hem has the standard elasticated cord and toggle set up that can be tightened or loosened with one hand if need be. Quality was the word that came to mind after this first wearing. After that I put it through the Tookie indoors gear test, which was pretty short. It was like being wrapped in a furnace, a soft sumptuous deluxe furnace. I've said before I run warm and in this fleece even sitting around on the couch doing nothing I was roasting. The jacket is very comfortable to wear. It just envelopes you. There was no chasing the little Bunten round, that part is going to have to wait till it's colder. Like a lot with this it's just going to have to wait till the Autumn for an update. It's not the weather for it. 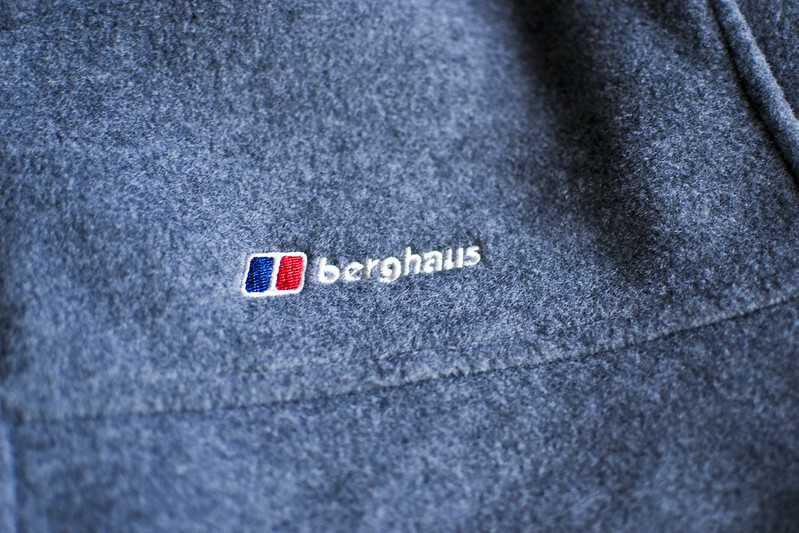 All in all a well made fleece but I'm sure that comes as no surprise from a company with the pedigree and history of Berghaus. It might not be the most fashionable, trendy or cutting edge of fleeces to look at but I'll look forward to the weather getting harder and giving this jacket a proper testing in the elements.